Photogenic and physical event to try on shoes! crocs is a shoemaker popular among children and adults alike for its comfort. KAYAC has developed hands-on content allowing families to enjoy interactive attraction and take family photos in a try-on event. 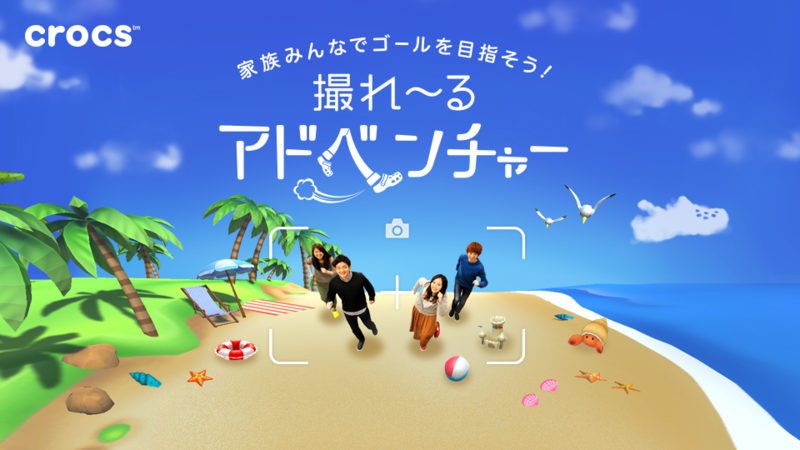 Users can enjoy new try-on experience in two stages, an adventurous beach, and jungle. 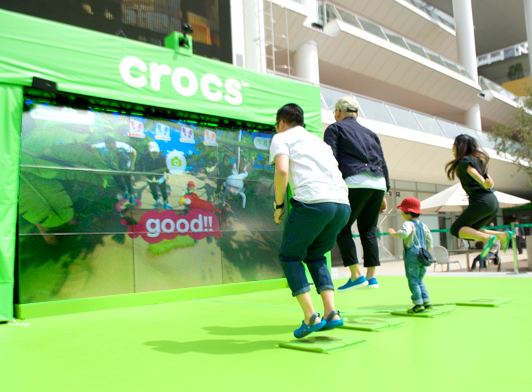 When users wear crocs and step on a foot device, they see their own image on a large screen in front. 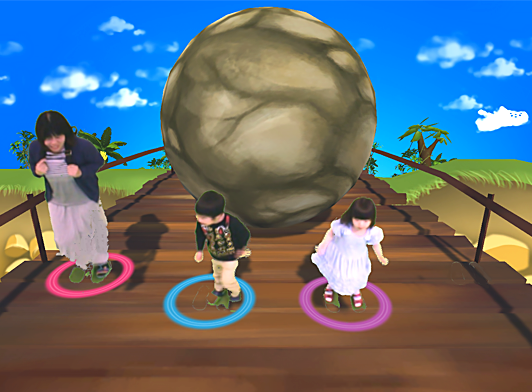 Pressure sensors in the foot device detect footsteps of users and reflect their move in the game. 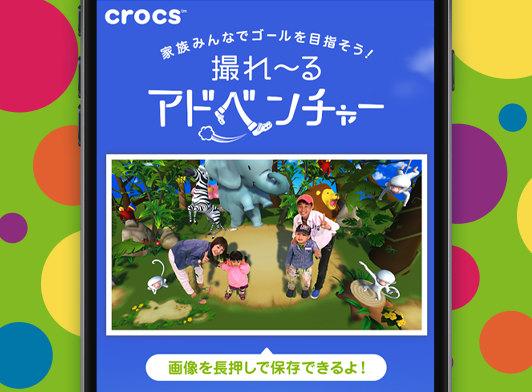 After enjoying the try-on experience, users get a photo of family members getting serious, jumping, and smiling. Many people enjoyed it as unique photography content.